THE Wiccan Interfaith Council International (WICI) is an organization of Wiccan, Pagan, and Witch practitioners, working to build awareness and appreciation of Paganism and Wicca, through education, service, and activism. As WICCANS we celebrate our religion, known as “the Craft of the Wise” and “the Olde Religion”. Our faith is built upon the worship of the Gods who originated with the birth of Mother Earth. OUR PAGAN practice is in accordance with the five laws of Nature, known as Air, Fire, Water, Earth, and Spirit. 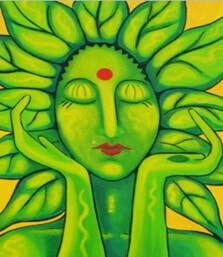 We understand that all power and knowledge, prosperity and wisdom, flow from this universal source. 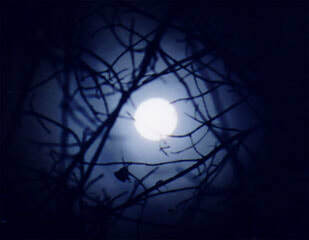 that honor Wicca as their primarily spiritual practice. Charitable: Providing religious materials to soldiers stationed overseas and incarcerated practitioners. The Wiccan Interfaith Council International (WICI) promotes appreciation of our Pagan roots and awareness of our Wiccan principles through our shared vision. Activism: Promoting pride for Paganism and Wicca by engaging in projects around our shared religious values. We host a Pagan Women Recovery Circle for those individuals and family suffering from the addictions of alcohol, drugs, and their related codependency cycles in the Central Texas region of Copperas Cove * Killeen * Austin. We also support the Pagan Pride Project International, and our local Pagan Pride Day Events. Social: Encouraging connections among Pagan-based practitioners via membership, social media and our internal newsletter. ​The Wiccan Interfaith Council International respects and celebrates the diversity of our global Pagan-based community, which includes the spiritual, political, social, sexual orientation, cultural, and ethnic origins of all practitioners. We do not condone any expression of racism, sexism, homophobia or transgender discrimination. We are a proud sponsor of The Witches' Voice! Copyright/All Pages, 2006 - 2019 * Wiccan Interfaith Council International. Intent to publish, post, edit, share or copy any information, graphics, and/or WICI-New Beginnings logos from the Wiccan Interfaith Council International website in ANY format (printed forms, digital copy/transfer, emails, text, or Tweet) is strictly forbidden. Any attempt to forward and/or use (by any group, organization, or individual) is considered misleading, unethical, and is not condoned by the Wiccan Interfaith Council. 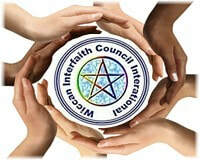 Permission to copy and distribute must be obtained in writing from the Wiccan Interfaith Council International. ~ A non-profit religious, educational, and charitable organization ~ We hold a 501 (c)(3) Public Charities status ~ (170)(b)(1)(A)(i) with the federal government, effective November 1, 2007, as a "church or conventions or association of churches". Incorporated on November 1, 2007 * in the States of Indiana and Texas, as a non-profit religious, educational, and charitable organization.